In these sermons we see that the truths expressed by the Apostle Paul are not only a fitting conclusion to Romans 9-11, and indeed to the preceding chapters as well, but are also an interpretative key to the past and the future. They explain the history of Israel in the Old Testament and that of the Jews and the church in the New, while also anticipating the future of the Jewish people in the Christian church. 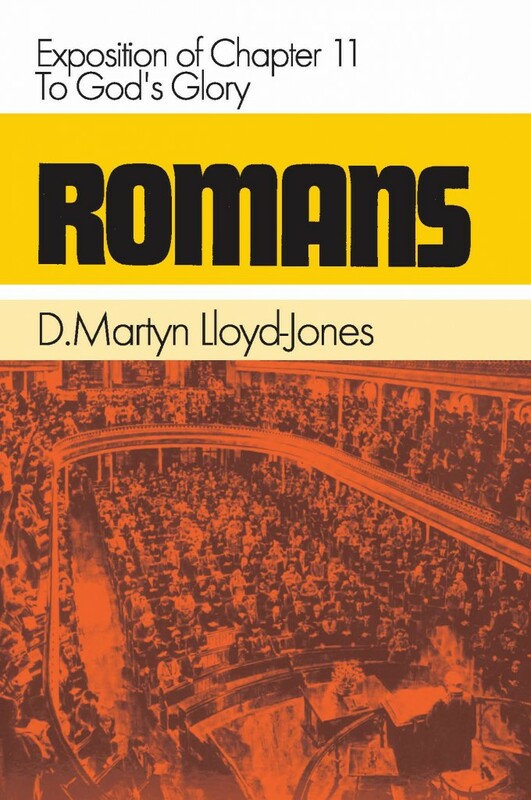 Approaching Romans 11 in spirit and in its setting – its new emphasis, major divisions and lessons. The rejection of Israel not total- arguments showing this to be the case – the first considered – Paul’s own conversion – the identity of God’s people in verses 1-2. The second argument – the existence of a remnant – the example of Elijah and lessons – the election of grace – the battle not ours but God’s – numbers not decisive – God’s purposes sure. Israel’s earnest seeking after God – judicial blindness – scriptural precedents ­blessings turned to curses – reasons for this – a wrong seeking after righteousness. What is meant by judicial blindness or hardening – how it is accomplished – the example of Pharaoh -lessons for today – revival. The lesson of the imprecatory psalms – objections to them stated – the place of the Old Testament – the inspiration of the Scriptures – David’s character vindicated – punishment – the justice of God. The second major division of the chapter-analysis of verses 11-32 – the Jews’ stumbling not a final fall- salvation has come to the Gentiles – to provoke the Jews to emulation. Reasons why the Jews were permitted to stumble at the gospel- the enrichment of the Gentiles – the meaning of ‘diminishing’ and ‘fulness’. Paul is writing as a prophet – verses 11 and 12 a great seminal statement ­lessons from this – persistence of the Jews as a nation – the ways of God with individuals and nations – provoking others to emulation – nothing too hard for God. Reasons for focusing on the Jews – ways in which Paul magnified his ministry – his concern for both Jews and Gentiles -lessons for preachers. The Gentiles must be humble – the Jews will be received again – the meaning of ‘life from the dead’ – an effect on the Gentiles, not on the Jews- not revival from a dead state – not the Resurrection – a delightful and amazing blessing. Relationship of Jew and Gentile in the church – two pictures of the distinctiveness of Israel- first fruit and lump – root and branches – both pictures say the same thing – differing interpretations – relationship to the ‘olive tree’. Meaning of the ‘olive tree’ – the people of God – the spiritual nation, not the natural- continuity of Old and New Testaments – blessings obtained by faith – the Jews’ position special but not separate. Analysis of verses 18-22 – the danger of boasting – what it is to stand by faith – both Jew and Gentile received through faith, not nationality nor racial identity. The continuing need of teaching – pride the great enemy of man – despising others – going back to justification by works – grace alone makes us to differ – need of humility. The knowledge of God the best corrective of pride – God’s goodness and severity – evidences of the lack of such knowledge – lack of godliness ­importance of giving due weight to both goodness and severity. A problem to face – does our salvation depend on us? – how to resolve problems in the understanding of Scripture – election – profession and reality – grace to persevere. The need to apply the truth -learning from the history in the Bible ­institutions tend to degenerate – the form kills the spirit – forgetting original principles – the principle of delay – examples and warnings. A new sub-section – the restoration of Israel- arguments proving that God’s purposes for Israel are not finished – the possibility and probability of their restoration – God’s power. Why Paul uses arguments, not bare assertions – we should not be ignorant, nor wise in our own conceits – the Apostle makes known a mystery – nature of apostolic prophecy. Prophecy of the future of Israel- the bind ness temporary – judicially inflicted – the fulness of the Gentiles – interpretations of ‘all Israel’. The salvation of Israel- Paul’s prophecy confirmed by Scripture – wording of Old Testament statements varied by inspiration – the Deliverer out of Zion­ God’s covenant with Israel. In what sense Israel are enemies – in what sense beloved – God’s gifts and calling never regretted – confirmation of interpretation of ‘all Israel’. God frowns on, yet loves, His people – disobedience of Gentiles and Jews – God’s mercy to both – shut up in unbelief- ‘mercy upon all’ not universalism. God’s way of showing mercy – God not the author of sin, but uses it for His glory – shut up to mercy – ‘all Israel’ cannot mean the elect, nor elect Jews only. The true Israel not always a remnant – prophecy not history written in advance – danger of reading in what is not there – Paul not dealing with the Second Coming. How the prophecy will be fufilled not revealed – Paul’s philosophy of history – everything under the hand of God – salvation entirely of God – no case hopeless, nor beyond God’s power. Why Paul wrote his great doxology – danger of separating mind and heart­ analysis of doxology – the deep things of God – His riches – wisdom ­knowledge. God’s ways incomprehensible – division between evangelical and non-evangelical views – proclamation, not dialogue – examples of God’s judgments and ways – cause of hope and joy. Salvation independent of man – man’s ignorance of God and himself – he has nothing to give and no claim on God – The Creator and Sustainer of all things – all things for His glory – do we rejoice in this?